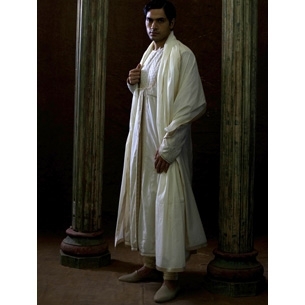 Men's Indian Fashion: What's New & Looks Great - Sonal J. Shah Event Consultants, LLC. 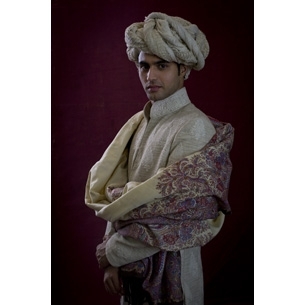 Fashion always plays a big part of any wedding, but especially an Indian one. Many of our clients travel many distances to find the perfect outfit for there special day. One would think that fashion is only important to the bride, but you would be surprised how many groom’s are also into the latest trends. 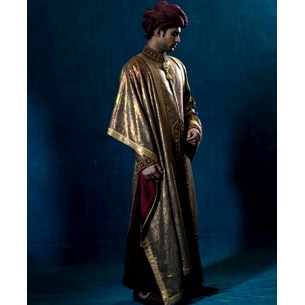 Here are some of the latest trends in Indian Fashion for all you fashionable gentlemen straight from India GQ! Short: Avoid a very long achkan, it should end just below the knees. Go for monochromatic colours; if you are wearing a black top then wear a black bottom as well to give height. Wear asafa and pre-pleated stoles with a slight heel. There are very few acceptable ways for men to wear jewellery – dressing for a wedding, however, is one of them. Whether you’re the groom, the drunk cousin or the single friend hoping to score, you can anchor your look with some solid accessories. A fine, gleaming pair of cufflinks or a slightly more ethnic brooch on a dark bandhgala is just the right amount of bling, that says you’re gentlemanly, stylish and do rather well for yourself. Follow these trends and no matter what part you play in the wedding, you will be sure to stand out!